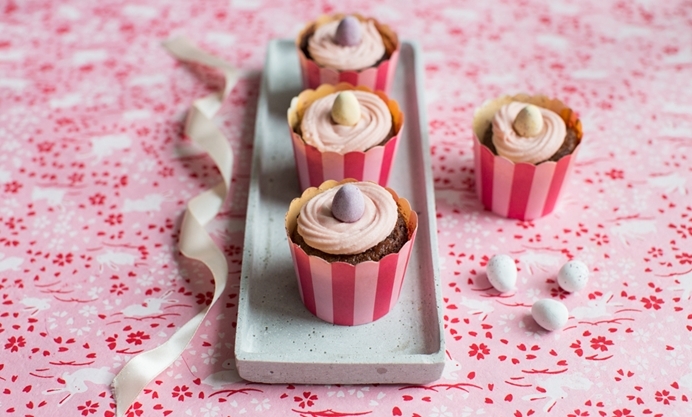 Anne's Easter cupcake recipe is the perfect springtime bake. A delicious red velvet sponge is topped with cream cheese frosting and, of course, a crowning glory mini egg to keep things special. For other bakes, check out our Easter baking recipe collection. If you ask me, Easter baking calls for fresh, springtime colours! While I tend to keep my Easter colour palette in soft pastel tones, I like to make these red velvet cupcakes to add a dash red to the mix. I don’t add too much red colouring to my cupcakes, so if you prefer a brighter coloured cupcake, just add more to the batter. On that note, just a word of warning regarding the red food colouring: make sure the colouring is “bake stable”, as I've used some before that is not - and they turned out brown instead! These red velvet cupcakes are made with a super moist cake base – the trick is to use warm coffee in the batter, which keeps it nice and moist while baking. 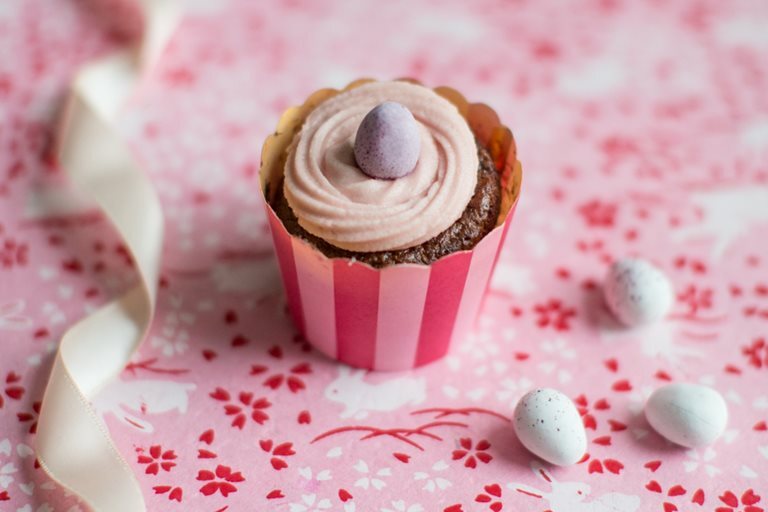 I’ve topped the cupcakes with a classic cream cheese frosting and decorated them with a mini chocolate egg – to make them the perfect Easter treat.